Welcome to my maintenance thread! This is my first venture into BMW land. I've always feared owning one of these machines because of the rumors and what I now know to be false information plastered all over the internet. I came from a 1992 Honda Accord that was unfortunately stolen from me and I needed a car to replace it with. I was and still am in love with the simple and timeless styling and the driving feel of that car. I know most of you are probably rolling your eyes now...*pfft driving feel* but that car is really underrated. Don't argue with me on that. I figured if I am going to replace that car, I need it to be something very similar, but with more potential to help me develop as a performance driver and as a car enthusiast. I went through the typical Honda replacement cars. Accord V6 6 speed, very nice commuter but nothing special about it. Acura TSX, pretty dry as a stock car. 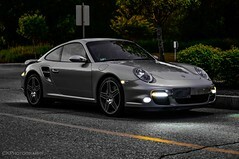 A slower car than the v6 Accord. Wasn't interested in too many other brands. I then decide to look at BMWs. 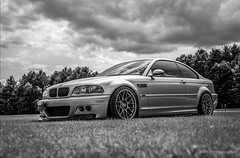 I made the mistake and test drove a beautiful silver E39 540i/6. GOD THAT CAR IS THE SH....but then I go on the internets. "Your valley pan gasket will go!" "The timing chain will eat itself!" Blah, blah. That kind of scared me off, so I went to 3 series land. Didn't want an E9X because the styling just doesn't go well with me. E46 was the next step in my price range at the time. It had the enthusiast following and support, which was a big deal because all the problems had been documented and pretty much solved. I didn't see anything involving tearing the front or top of the engine off for preventative maintenance or repair. (Now I'm probably confident enough to do that, but at the time I wasn't!) I see this blue 330i for sale at a dealer. I also had no idea what a ZHP was. I just thought it had a nice bumper and wheels. 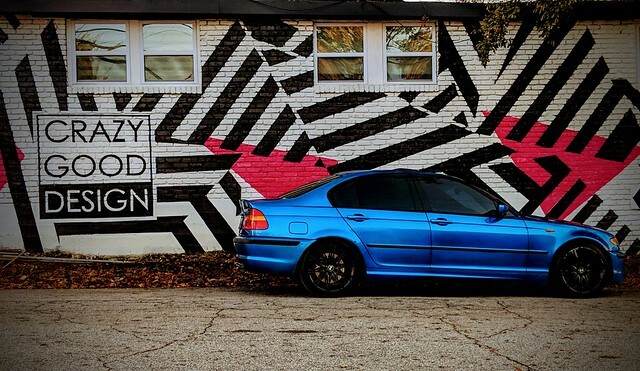 I bought it, and started down the rabbit hole of neglected BMW ownership...which you can observe as I comb through everything in this thread. This is going to be the start of my restoration, maintenance and modification thread. I'm typing this on my phone so stay tuned. Last edited by DeathTrap; 11-20-2018 at 05:29 PM. Your TT sig is great!